I am blessed to serve at the Dalia Association where we strive to strengthen civil society so that Palestinian communities can remain on their lands independently and with dignity. Dalia invites you to celebrate Palestinian Mother’s Day by donating to our (Women supporting Women) Program in honor of your own mother or another woman who inspires and supports you. Our goal is to honor at least 50 mothers during this campaign. Your donation will be consolidated with donations from Palestinians and allies around the world who believe in the right of communities to lead their own development. Your donation will enable communities to determine their priorities through democratic and transparent processes and provide grants to energetic and credible grassroots leaders. 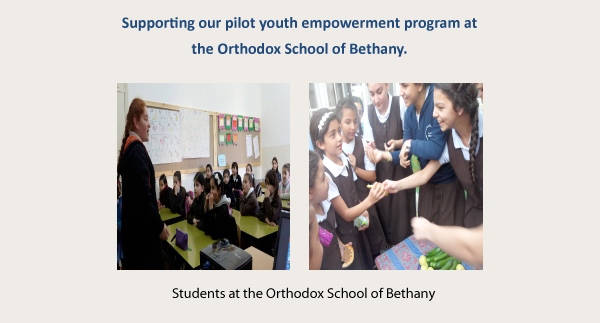 A small donation can make a huge impact in Palestinian self-determination. Any size contribution will make a difference when you give to a local organization. I’m making a donation to the Women Supporting Women program in honor of my mother. Won’t you make one in honor of yours? PS. Send us the email address of the person you wish to honor with your contribution and we’ll send her a Mother’s Day greeting. You can also make contributions in someone’s memory. Please let me know directly at [email protected] how you would like your contribution recorded.